Known as the birthplace for modern mining, Connecticut has more than 600 forgotten mines. Although most geologists believe Connecticut’s mineral deposits are sparse and scattered, modern mining techniques have not been used to locate minerals in Connecticut. Connecticut’s gems include amethyst, topaz, green beryl, rose quartz, tourmaline, yellow beryl and aquamarine, and they are found primarily in the Bronson Hill anticlinorium, east of the Connecticut Valley. Roxbury Falls holds the best-known Connecticut garnets. Gemstone prospectors should follow a few simple steps to have a better chance of finding gemstones and stay within Connecticut's prospecting regulations, especially with regard to public lands. Identify the types of gemstones you are looking for and search for locations where those gemstones can be found in Connecticut. Local libraries are a great resource because they typically have books that cover mining areas and history in the area. Talk to local geologists to determine where to start looking. Research the types of areas and the environmental characteristics, including rock formations and composition that are available in the areas where the preferred gemstone is found. State geological surveys are another great resource for narrowing your search area. Study the bedrock map of Connecticut. Research the gem specifications and identify what the gem looks like raw, so you can identify the gemstone in the field. Contact any private landowners for permission to prospect on their lands. This includes corporate-owned mines and adjacent properties. Travel on designated roads and trails to prospecting locations and do not take shortcuts across the adjacent properties. Prospect in Connecticut state parks, but do all digging by hand. Refill all holes you dig before you leave the area. Do not prospect in national parks or on federal land or historical sites because it is against the law. Contact the Department of Environmental Protection for state park and state forest permit information and requirements. Search mineral-rich zones, such as rivers and streams or rocks around rich mineral deposits. Streams carry newly exposed gemstones downstream. 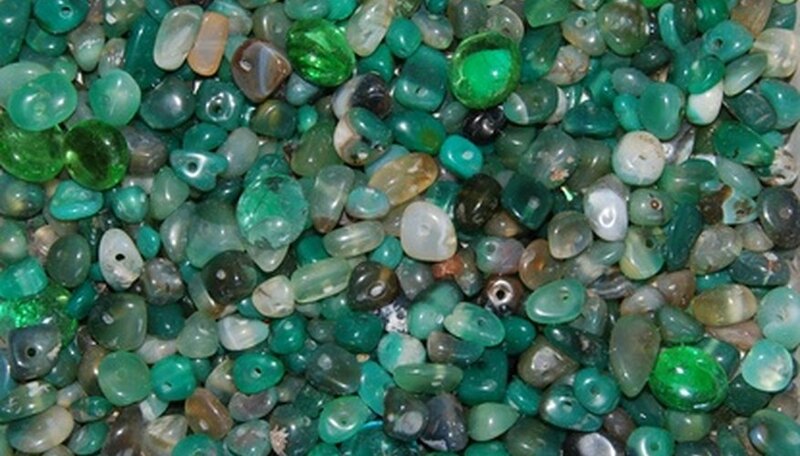 Most commercial gemstones are found in rivers and streams. Search near old mines. Although the mine may be fully explored and shut down, the area around the mine may be rich in gemstones and minerals. Break rocks using a hammer to look at the inside of the rocks as you search for vein characteristics. The Hunt for Gems and John Betts Fine Minerals websites include a few gemstone-hunting locations and quarries in Connecticut. Several of the quarries offer access to former mining areas for a small fee. Contact formerly operating mines for fee-based hunting opportunities. Camp in the area you are prospecting. The longer you stay in the area, the greater your chances of finding gemstones. You can move from one sample to another seamlessly, sure of where you have been previously. Hunt with a friend for safety and to cover more ground.